When foul weather forces me within the safe haven of a tent, nothing is more precious than a cavernous vestibule. 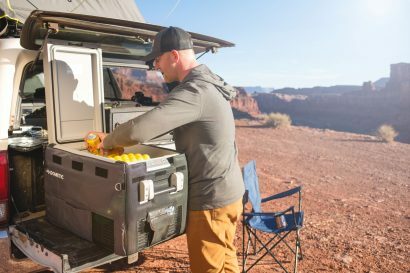 With the passing of every wet minute, each inch of dry space is called upon to stash gear and makes for the ideal place to prepare meals or just stretch out. As useful as a big tent porch is, not many smaller shelters have them. Scheduled to hit North American retailers in just a few weeks, I was lucky enough to get an early sample of the new MSR Hubba Tour 2. In fact, I got it way back in July, not exactly the best time to test ugly storm worthiness, but our early fall monsoon rains remedied that in short order. After a few rain-soaked outings, I’ve determined the Hubba Tour 2 is the perfect sanctuary for anyone prone to camp in less than bluebird weather. The latest addition to the brand’s much-loved Hubba series, it employs a few new features, namely a modified architecture with the poles located on the outer aspect of the rainfly. The new exoskeleton simplifies setup, and in keeping with the nasty weather theme, covers the inner tent body during a rainy pitch and take down. 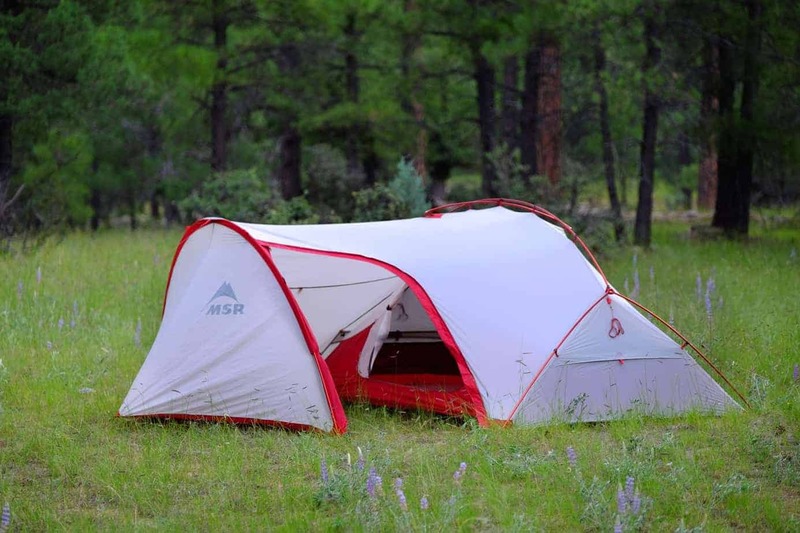 Available in one, two, and three-person sizes, the Hubba Tour 2 pairs 32 square feet of inner tent floorspace with 25 square feet under the vestibule. 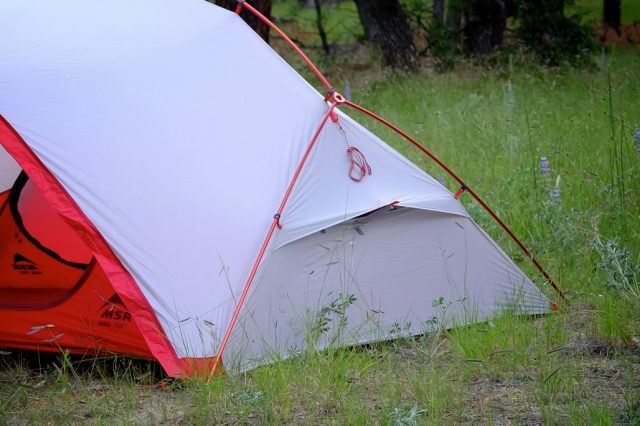 At only 4.13 pounds it’s a roomy retreat for two campers and a palatial sprawl for the soloist. 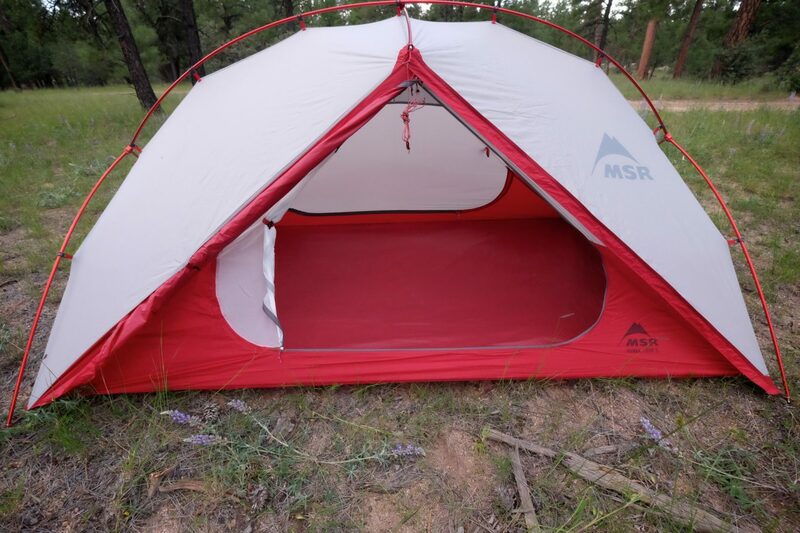 As I’ve come to expect of MSR’s latest crop of tents, the diminutive packed size clocks in at just 18×8-inches when folded into what I consider the best stuff sack in the biz. 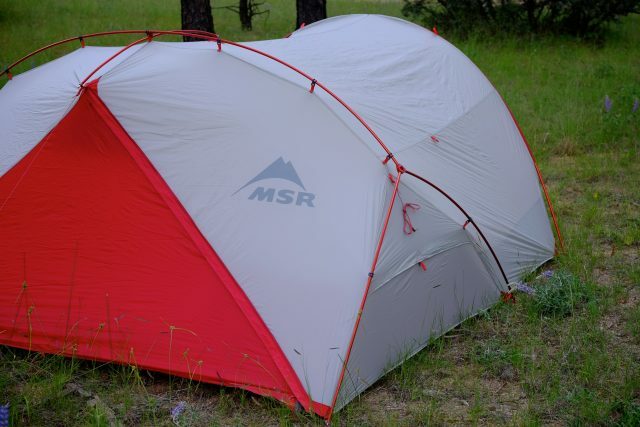 I’d buy an MSR tent just for the stuff sack. Keeping the weight and bulk to a minimum, the floor and rainfly are constructed with 30- and 20-denier ripstop nylon, both coated with MSR’s new Xtreme Shield waterproof coatings. The 7000-series aluminum poles are a beefy 9.5 millimeters in diameter and divided into two sections. One assembly is joined with two machined aluminum hubs to support the main tent body, the other slips into the vestibule creating a tall peak of 38 inches. The extended vestibule includes a large door for easy access, and a significant portion of the interior is covered with a floor panel, a feature I particularly love. It is the perfect drop spot for things I’d rather not place in the dirt like wet clothes, helmets, or camera gear. Other thoughtful features include an oversized mesh pocket in the vestibule and two more within the tent canopy. Zippers are easily located in low light with glow-in-the-dark zipper pulls and the light-colored rainfly keeps the interior from feeling gloomy when waiting out a storm. 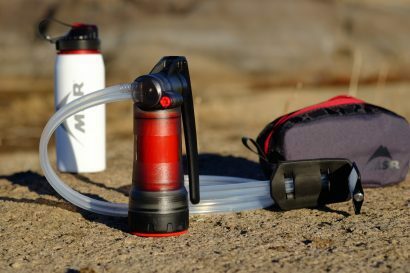 When weather strikes, particularly heavy winds, the Hubba Tour 2 offers ample external guyline attachment points to keep everything anchored to terra-firma. My other favorite attribute of the Tour 2 is the inclusion of a back door. Not to say ducking in and out of the vestibule is awkward, but the back door opens wide for easy entry and exit. For the sleeper prone to midnight nature breaks, it’s quite handy. During dry and warm evenings, opening both doors in the rainfly helps create nice air passthrough. Although I’ve only had a few opportunities to test the new Hubba Tour 2 in foul weather, it’s easy to surmise this is the shelter to have when hammered by rain, bugs, and wind. 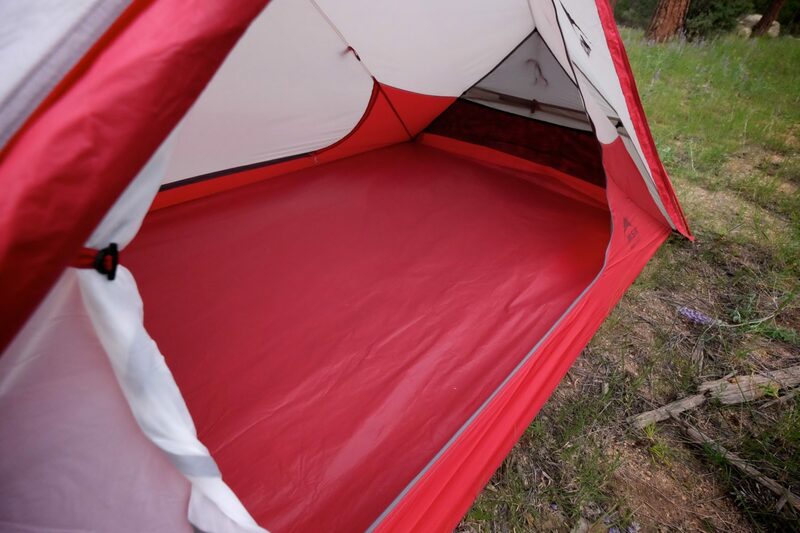 The full coverage rainfly insures even the most horizontal showers don’t wet the interior, and two large vents at each end of the flysheet help keep air circulating and condensation reduced to a minimum. In a cool rain, those vents are sufficient to keep the interior from feeling stuffy, but during one hot summer thunderstorm I got pretty toasty inside the Tour 2. With no additional air entering the space along the lower edge of the fly, the lack of a cooling breeze was noticeable. 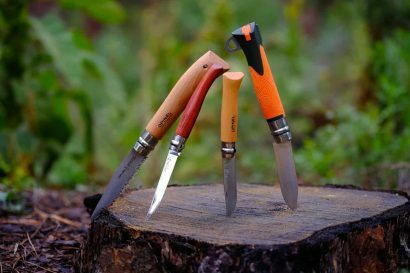 For sitting out a rain in cooler climates or in milder seasons, it’s a lovely place to hunker down. In the hottest summer weather the inability to remove the rainfly was a slight disadvantage, but not as bad as I feared it would be. 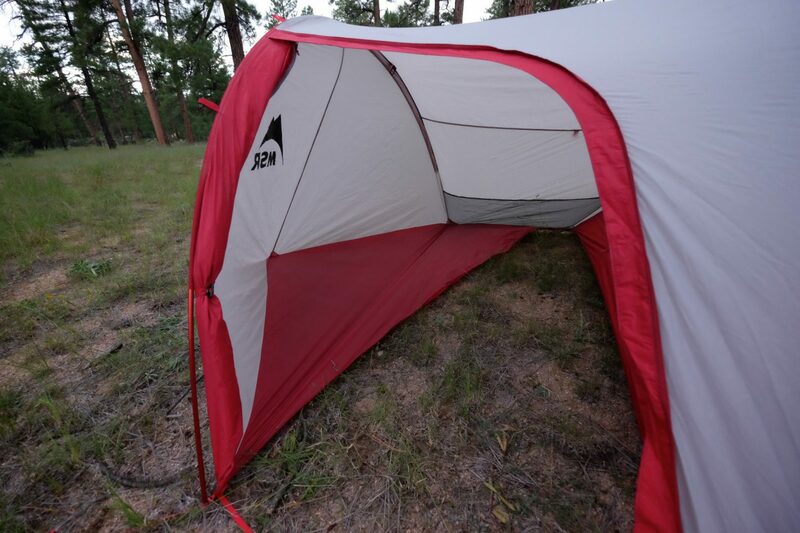 The only other challenge with having the fly attached to the inner tent canopy is the inability to separate the two to speed up the drying process. After a wet night, hopefully with a sunny morning, I often pluck the fly off to let the two main components dry independently. Again, that’s certainly not a negative but may require some adjustment to your normal tenting routine. When I stop to remember those trips in my past when I’ve been holed up in a tent for hours and even days on end, every one of those experiences would have been far more tolerable had I been tucked away in a Hubba Tour. The tent body is quite livable, but the vestibule is amazing. My wife dove into the vestibule during a heavy rain and quickly lamented not having such an awesome nylon fortress when we lived in an Alaskan rainforest. 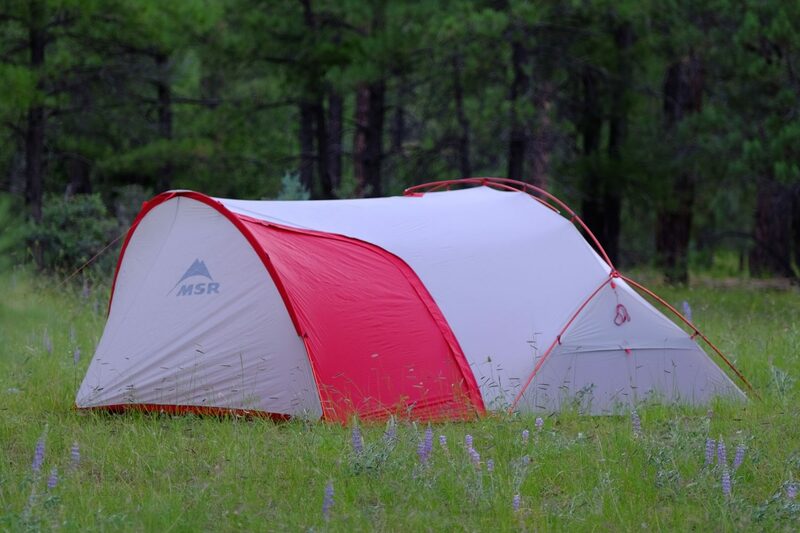 All tents should protect you from a storm. The Hubba Tour 2 often has me looking toward the sky hoping for one.